What would MacGyver do to escape from The Nat? The San Diego Natural History Museum, aka The Nat, may be the first major U.S. museum to officially join in the “escape room” craze with it’s “Escape The Nat” room which will formally be opened tonight in a formerly closed section on its lower level. The initial adventure is themed “Botanic Panic” and will see up to six “citizen scientists” locked in the room racing against a 60-minute clock to figure out mind-boggling puzzles, decipher clues and break codes to resolve the mystery to find the cure for a deadly virus threatening the world. CBS announced on June 15th that they are in the process of remastering the original MacGyver series to HD and that Seasons 1-3 are already completed with all 7 seasons planned to be completed by the end of the year. The news release on the CBS site includes a before and after video comparing scenes in SD with their new HD counterparts showing an impressive difference in quality. This will of course raise hopes for a Blu-ray series for fans who have long been requesting an HD version of the show even going so far as to run online petitions in a bid to get CBS’ attention. No word yet how the new HD versions will be distributed. MacGyver has been a source of inspiration for on-the-spot fixes since it first went to air back in 1985 and this list shows that the spirit of MacGyver is still alive and well 30 years later. LifeHacker, the site dedicated to everyday MacGyverisms for making life easier, have released their top tricks and tips for 2015. The site is a treasure trove of knowledge which MacGyver himself could only dream of having with a continuous flow of new ideas coming in the site is the next best thing to having MacGyver at your side. 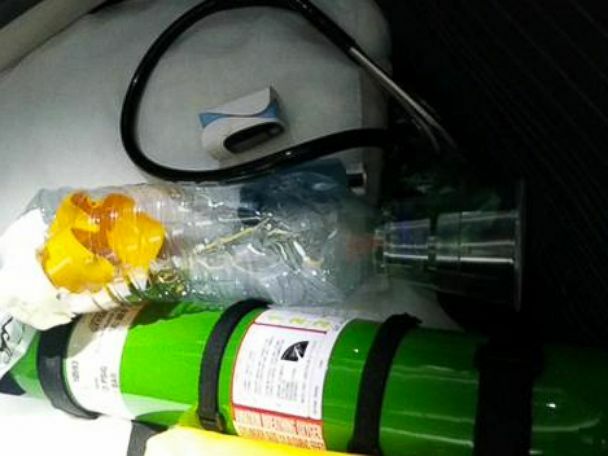 While on a recent transatlantic flight New York doctor, Khurshid Guru, was called upon for a quick MacGyverism to save a little device that helped an asthmatic toddler struggling to breathe. His parents had accidentally packed his asthma medication in their checked luggage and after oxygen meter on the child Dr. Guru knew he had to to something quickly. Under the guidance of Carpentry Teacher, Gavin Daziel, and Principal Huel Moss, four S. C. Bootle High School students have been given the task of assisting with basic repairs and maintenance around the Abaco Islands school. This would include such chores as desk adjustments, re-installing cupboard doors, repairs involving minor carpentry skills, etc. According to Moss, each student was supplied with their own carpenter’s apron complete with the necessary tools to get their jobs done. He explained that the MacGyver Club members will earn school hours throughout the school year, which is a compulsory component for graduation. It is hoped that this initiative will not only instill and strengthen school pride, but will also develop various technical skills which may be beneficial for later life.